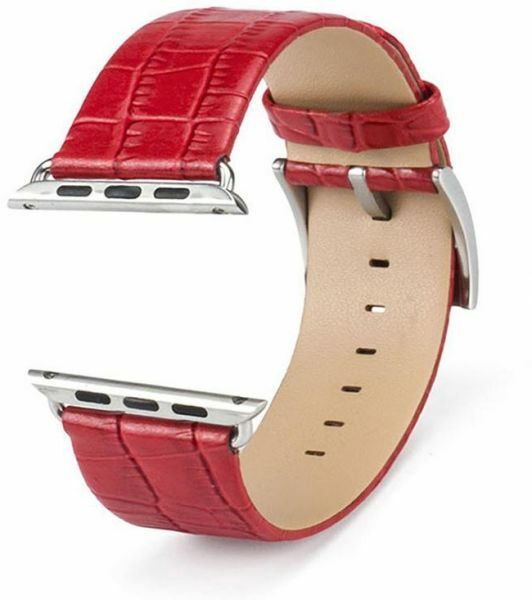 Made of real leather and premium materials.Flexible wearing range with holes.Stainless Steel Buckle, Durable.Buckle closure for easy installation and removal.Comes With retail packaging.Comes with an comfortable, elegant and stylish feel.Adapter Perfectly slides in your watch. This watch band has the axle connector to link the band so that can you use it with the sports version as well. Made of real leather and premium materials. Flexible wearing range with holes. Buckle closure for easy installation and removal. Comes with an comfortable, elegant and stylish feel. Adapter Perfectly slides in your watch.